Hackney’s Diane Abbott receives more abuse than any other female MP, an investigation by parliament’s ethics watchdog has found. The Committee for Standards in Public Life yesterday published a comprehensive review of intimidation suffered by parliamentary candidates during the 2017 General Election. The report calls on the government to introduce an offence for intimidation under electoral law, and to make social media companies such as Facebook, Twitter and Google liable for illegal content. 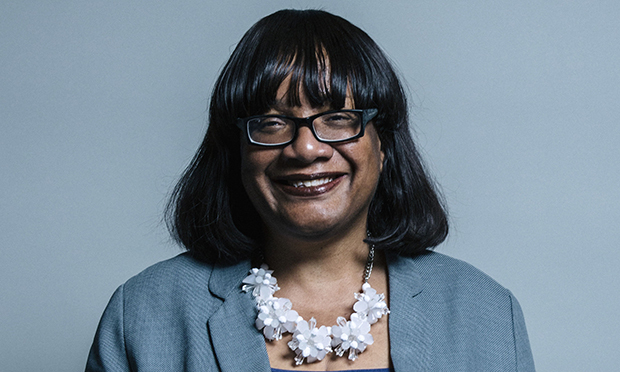 Abbott, who has served as MP for Hackney North and Stoke Newington for three decades and is now Labour’s Shadow Home Secretary, is mentioned ten times. In July this year, she told fellow MPs: “Thirty years ago, when I first became an MP, if someone wanted to attack an MP, they had to write a letter – usually in green ink – put it in an envelope, put a stamp on it and walk to the post box. The Committee interviewed staff at Abbott’s office, one of whom said: “The first thing we do in the morning is to block and delete online abuse, usually whilst having breakfast. Committee chair Lord Paul Bew said: “The increasing prevalence of intimidation of parliamentary candidates, and others in public life, should concern everyone who cares about our democracy. “This is not about defending elites from justified criticism or preventing the public from scrutinising those who represent them: it is about defending the fundamental structures of political freedom. Lord Bew said a “significant proportion” of 2017 general election candidates suffered some form of abuse, adding: “There has been persistent, vile and shocking abuse, threatened violence including sexual violence, and damage to property. The committee interviewed 11 MPs and former parliamentary candidates, and other individuals including BBC journalist Laura Kuenssberg and Brendan Cox, the widower of murdered MP Jo Cox. Diane Abbott divided opinion in September when she repeated some of the racist abuse she’d received on live TV. It followed a study by human rights charity Amnesty International which revealed that almost half of all abusive messages detected on Twitter in the six weeks leading up to the General Election were directed at Abbott.